Lemax It's Santa! Figurines (Set of 3) depicts the delightful scene whilst snow is on the ground, of Father Christmas in the act of giving Christmas presents to three happy children. A delightful new Lemax Village figurine set from the Lemax Santas Wonderland range joining the Lemax collection in 2015. 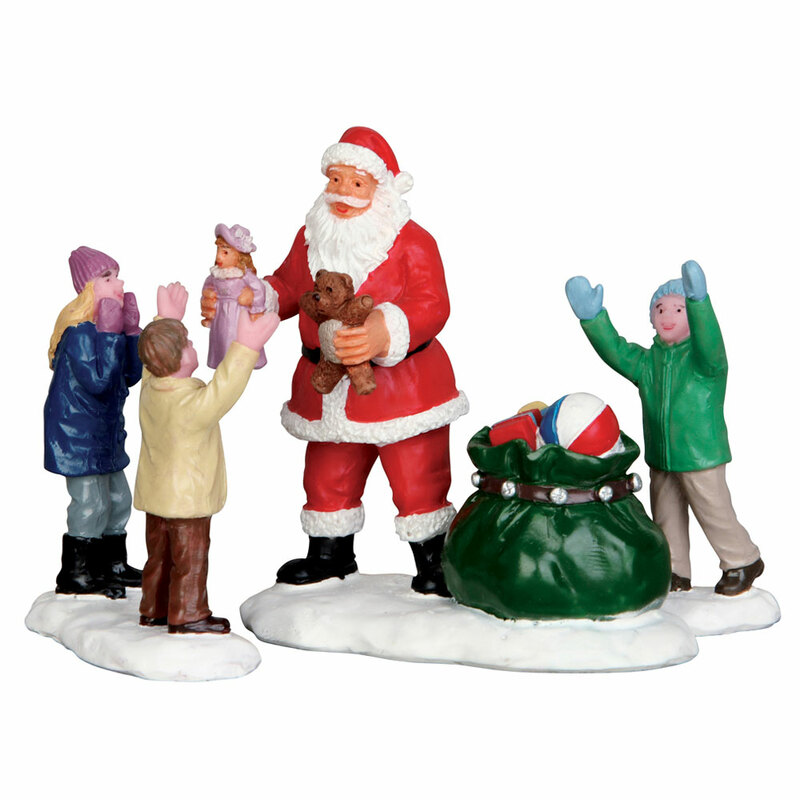 Its Santa set comprises of four individual hand painted polyresin figures on three individual snowed bases to compliment your seasonal Lemax Village Christmas display.